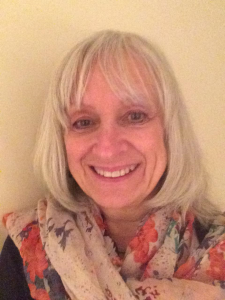 In this blog post Warwick Medical School’s Dr. Carole Mockford discusses the work of the PSA Commission on Care Report in relation to her own research into health and social care services. Carole previously presented her research to the Commission at one of our evidence gathering events and we were delighted to welcome her back as a speaker at our Warwick University launch of the report. On 12th January I was asked to contribute to a round table discussion focusing on the new report from the PSA Commission ‘Towards a New Deal for Care and Carers’. I am a Senior Research Fellow from Warwick Medical School and Principal Investigator of the SHARED study. SHARED is an acronym for Services after Hospital: Action to develop REcommenDations. In 2013, we were awarded a sum of money from the National Institute for Health Research (Research for Patient Benefit stream; PB-PG-PB-PG-1112-29064) to undertake a study which would develop service user-led recommendations for health and social care services. This study concerned people and their family carers who were living with memory loss where the person with memory loss had just left an acute hospital and had returned to their own home. It was important to us to involve people in our study who knew what it was like to care for a person living with memory loss or dementia. Carers helped us with the initial idea for the study, they were involved in helping us to apply for the grant and in meeting with us regularly to help keep the study on track once we had started, to comment on what we were doing and to offer us advice if we needed it. In addition, carers helped us to do the research study, as lay co-researchers. The key aim of our study was to develop service user-led recommendations for carers and older people with memory loss discharged from acute care to community care. Our study took place in two NHS Trusts and the study participants were people who had just left hospital, were aged 65 and over, had been in hospital for at least a week, had some form of memory loss or dementia, and were returning to their home. We also recruited their main family carer. We interviewed them both as soon as we could after discharge from hospital and again at 6 and 12 weeks post discharge. We asked them questions about their experiences of health and social care services and voluntary services over a 12 week period. Some of them kept diaries for us too, this helped them to remember events and to give us a real time account of what happened between our visits. We also interviewed health and social care staff to give us an all-round view of what was happening within services and their own experiences of discharge procedures. To have a written, mutually agreed and meaningful discharge plan. To have a named co-ordinator who is a point of contact for services and support. To improve the quality of care provided by care agencies in patients’ homes. The third recommendation illustrated how difficult it was for a person with memory loss or dementia and family carers to navigate the services. Not only were a lot of service providers involved which could be confusing, but some services such as social care organisations did not always provide the service that families wanted, or needed, and this was adding extra stress to an already difficult time. Our findings supported some of the observations made by the PSA Commission’s report and added a couple more. We found that there are major challenges and variations in the services provided post hospital discharge. These cover communication, information, and the quality of services. There were reports of good practice from individual members of staff but there is a need to improve the way that health, social care and care organisations work together at hospital discharge, and a need for services to work in collaboration with the patients and carers particularly those who are vulnerable through memory loss. As the Commission’s report says ‘delivery of care poses questions about the quality of care as well as of labour standards and the increasing reliance on unpaid care’. It is important not to lose the focus of the experiences of those receiving the services. Key messages from the SHARED study are that we are seeing service provision through the eyes of the patient and carer. This contributes to the understanding of the hospital discharge process for people living with memory loss or dementia as well as understanding their insights into the NHS, voluntary and social care services. We have described how services are received by service users and provided evidence which may differ from a service provider’s perspective. This approach provides helpful information for decision makers at all levels when considering services for those discharged from hospital and returning home. It is also a starting point for planning and improving services, as it gives an overview of the reality of patient and carer experiences. The SHARED study has potential to contribute to more efficient use of resources and to improved health outcomes in communities. Service users are helping us to develop the next steps towards implementing the recommendations. We feel it is important to keep the pressure up about the reality of relying on social care and the Commission’s report is contributing to this. This paper presents independent research funded by the National Institute for Health Research (NIHR) under its Research for Patient Benefit (RfPB) Programme (Grant Reference Number PB-PG-PB-PG-1112-29064). The views expressed are those of the author(s) and not necessarily those of the NHS, the NIHR or the Department of Health. Mockford C, Seers K, Murray M, Oyebode J, Clarke R, Staniszewska S, Suleman R, Boex S, Diment Y, Grant, R, Leach J, Sharma U (2016) The Development of Service User led Recommendations for Health and Social Care Services on Leaving Hospital with Memory Loss or Dementia – the SHARED study. Health Expectations doi 10.1111/hex.12477.